It is often said that true love doesn’t ever fade away, but every so often, couples need to put in some extra effort to rekindle the old flame. Everything in life that’s worth holding on to needs to be re-energized from time to time and a romantic cruise across any of the five following destinations can do that for your romantic life. Let’s begin the list with the most iconic, romantic destination of them all, aka Venice in Italy. It has been around for centuries and yet, the floating city is still as magical as ever, never losing its charm for the lover in all of us. People still fall in love with each other every day while cruising on the gondolas, and old flames are rekindled like never before. There’s a lot more to Venice of course, but taking a cruise on the gondola during the sunset is pretty much the most romantic thing you can do in the city. The Caribbean Islands are one of the most popular cruise locations in the whole world and for good reason. A week on a luxury cruise ship on the Caribbean Sea is likely something that nobody will ever forget in their lives and when that experience is shared with another person by your side, the lush sea and islands of the Caribbean become so much more memorable. You will also be able to snorkel and dive together when the ship stops at certain locations. Whether you take a cruise or just stay on one of the islands for a few days, there’s something inherently romantic and carefree about the Caribbean. The Nile River Cruise stands out on this list because there’s nothing that’s quite like it. While all the other destinations are also beautiful and unique in their own way, a cruise across the Nile will unite you and your partner by appealing to the inherent sense of adventure that we all possess in ourselves. You will discover that Egypt isn’t only about the Pyramids and the Sphinx, as you cruise along the ruins of Nubia and make stops to visit the ancient temples of Karnak, Luxor and Hatshepsut alongside many others. When the sun begins to set while you are on the ship, the atmosphere almost feels unreal to those that are not familiar with it, and sometimes even to them. This is that one cruise which will take you and your partner through a romantic journey and exhilarating experience which simply cannot be had on any other cruise in the world. Everything that the Mediterranean Sea has to offer cannot be seen by taking a single cruise, so you may need to take multiple cruise vacations. Nevertheless, any cruise on the Mediterranean Sea is going to be romantic and relaxing. All cruises symbolize relaxation, so you can pretty much customize your experience by choosing to do whatever you want. 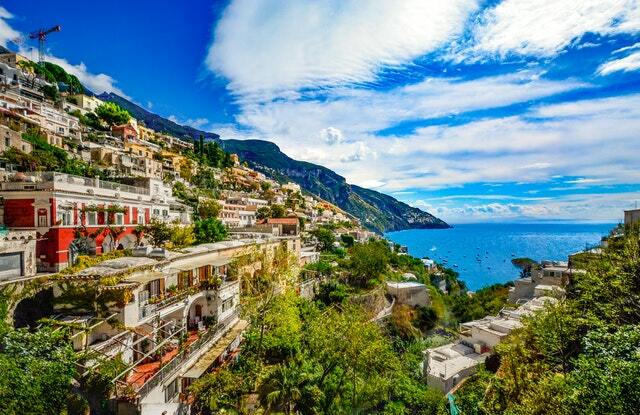 Cruise along the coasts of Spain, Greece, Italy, Croatia and France with your partner to see and experience a bit of the difference in all the cultures, or just stay near the luxurious Amalfi Coast, while partying on the cruise ship with your significant other. In fact, the choice is so vast here that you will never have enough time to experience everything on your first trip. The Alaska cruise stands in sharp contrast with the sunny, warm islands of the Caribbean and the Mediterranean, but there’s absolutely no way to deny the fact that a trip through the jaw dropping beautiful fjords, frozen islands, glaciers and mountains, as you travel from Vancouver to Juneau is the most romantic cold-weather cruise in existence. If you have the time, it is recommended to also explore the Denali National Park for a few days because it’s stunningly gorgeous as well. Just make sure that you get on the cruise before August to avoid the infamous Alaskan rain. Each of the routes on this list is romantic, luxurious and gorgeous, but when you are looking for something different and less crowded, the Nile Cruise or even the Alaskan cruise are your best options. Nevertheless, one should select the destination and the cruise on the basis of what appeals to themselves and their partners the most. As an alternative, you can also take a risk and break the habit by trying out a new experience, because new memories are often what makes two people discover each other in a new light.